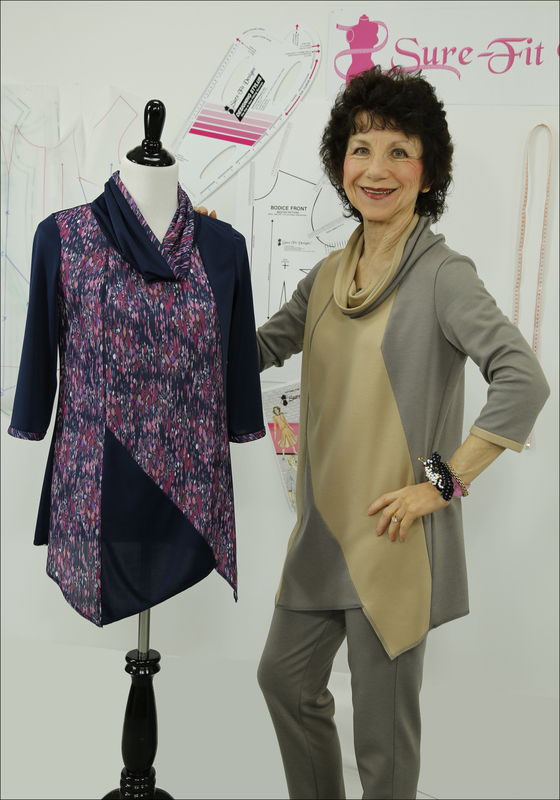 You'll love this latest Sure-Fit Designs Sew Along - the Caprezio Top! Combine the flattering benefits of the ever-favorite Princess Line, with asymmetry, unique style lines, color blocking and a cowl-type of collar. Choose a comfortable, lightweight knit in colors that suit your personal pallet. Wear it short over leggings or casual pants, or lengthen it for an attractive dress. 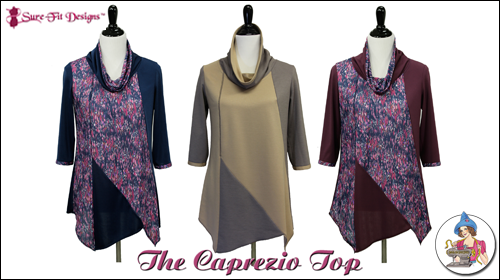 You'll have multiple options with our easy-to-design and sew Caprezio Top. The Caprezio Top Sew Along--Excellent! The videos are remarkable. The sequential clear-step-by-step instructions are easy to follow. The text instructions are succint and easy to follow. Another great sew-along! I haven't sewn in a while, but was tempted by the design of the top. I am also a plus size and found the top fit me well and suited by body type. 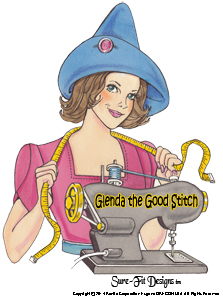 Congratulations Glenda on a versatile pattern! The only thing negative I could say is that I lowered neckband to the longest cut out suggested and found that too bare on the neckline, so I will alter that part, the next time I re-make it. It's an excellent video and so easy to understand and follow. Thank you for this great sew-along! Everything is so clearly explained that there are really no question marks regarding how to proceed. I have learned a lot and gained new confidence in sewing and cannot wait to apply it to another, similar garment. It's wonderful to see how it is possible to use the master pattern and go from there together with the detailed sewing instructions and the best order of putting it together. Thanks again! Brilliantly explained that even I could follow it. ( I am a beginner ). Glenda gives clear and concise instruction.